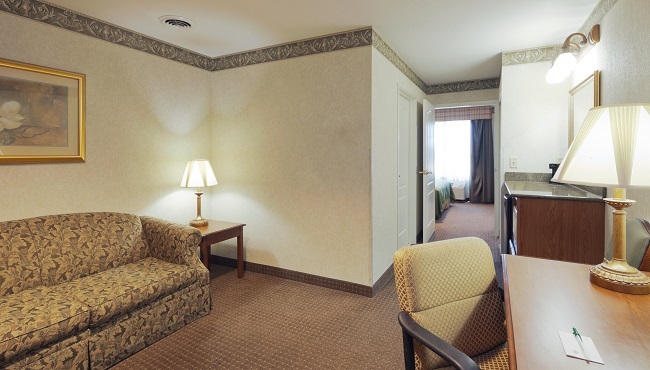 Located just off OH-30 between Columbus and Cleveland, the Country Inn & Suites® by Radisson, Mansfield, OH makes an ideal base for visiting The Ohio State University at Mansfield campus next door. 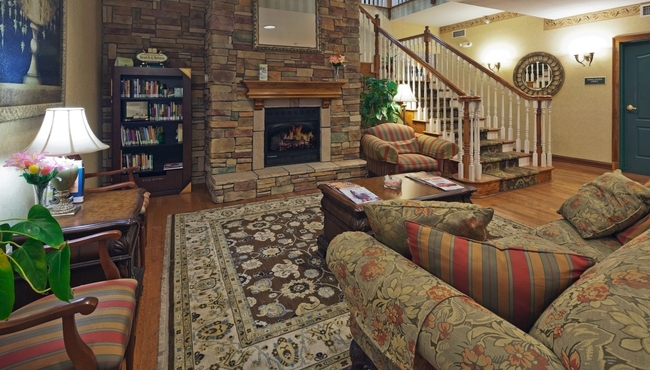 Families and business travelers alike appreciate the convenience of nearby shopping at Target, movies at Cinemark 14 and restaurants like Skyline Chili. 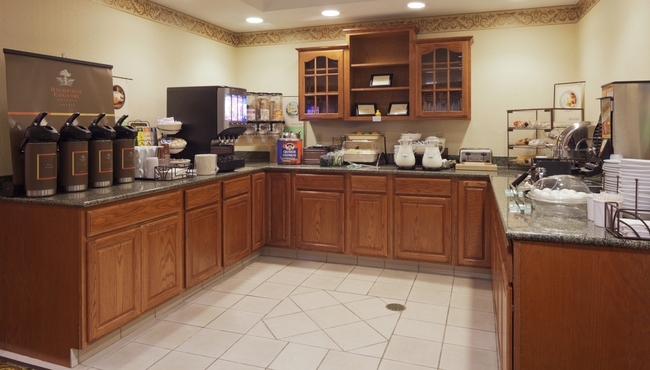 The hotel also offers proximity to fast-paced racing action at the Mid-Ohio Sports Car Course and local businesses like CSX, Omnisource and many others. If you’re traveling with kids, give everyone some privacy by booking a Double Queen Suite, which features a separate living area with a full-size sleeper sofa. Savor our free, hot breakfast, where you can choose a cheese omelet, scrambled eggs with sausage, or bacon and a toasted bagel. For lunch or dinner, head out to nearby restaurants like Cheddar’s or Logan’s Roadhouse. The Shawshank Trail – Explore sites from the iconic movie at the Ohio State Reformatory, just seven minutes east on US-30 W. Catch a glimpse behind the scenes of the film The Shawshank Redemption, or book a delightfully scary paranormal tour to learn the fortress’s haunted history. Historic Carrousel District – Catch a play at the theater, shop in the eclectic stores or eat dinner in a unique, downtown restaurant just 10 minutes southeast of the hotel. Don’t miss the chocolate tours at the Squirrel’s Den. Mid-Ohio Sports Car Course – Situated 10 miles southwest of the hotel, this 15-turn, 2.4-mile road circuit keeps race fans riveted. The course is also home to The Mid-Ohio School, which offers defensive driving, racing and other on-the-road training. 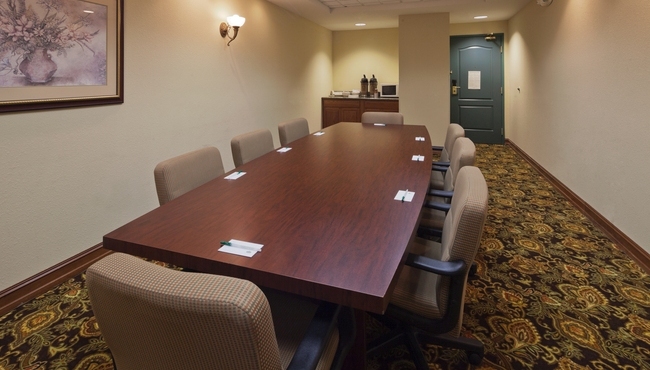 Our meeting room beside The Ohio State University at Mansfield is an ideal location for your gathering of up to 12 guests. We offer free Internet access, audiovisual equipment rental, a projector screen and refreshments to groups using the room. See what other guests are saying about us.